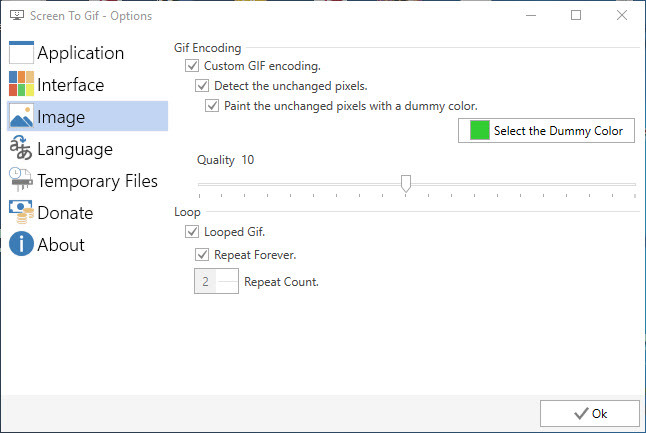 Screen To Gif is a free Screen recording software for windows. It is developed by Nicke Manarin. Using this tool you can record your windows screen and save directly to a animated gif file or a video AVI file. The downloaded file size is less than 2MB. You don’t need to install this software, just extract and run the application. The homescreen of this software shows four options. 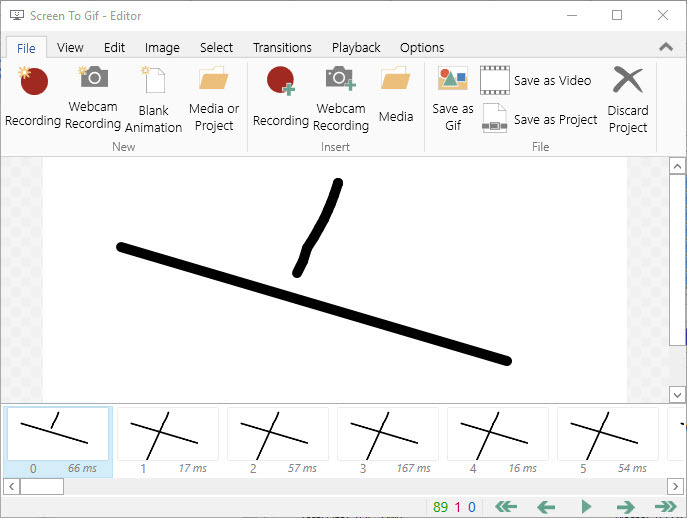 Screen Recorder, Webcam recorder, drawing board recorder and editor. 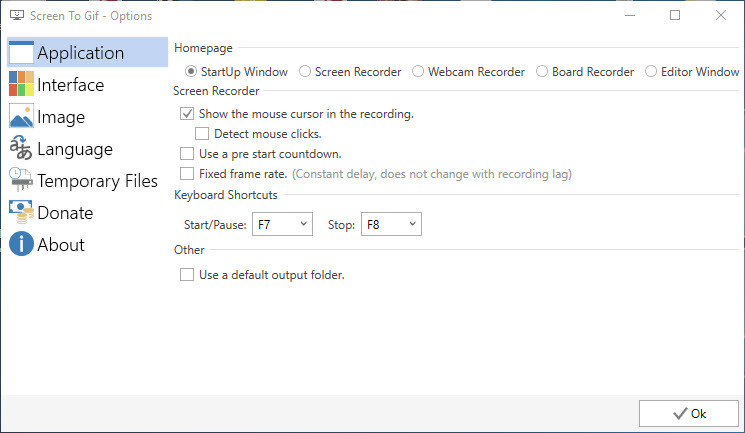 Using the screen recorder function, you can record your windows screen. Here you can adjust the frame rate, screen size and pause the recording. In Webcam recorder, you can record your webcam movie into gif or AVI. In the drawing board recorder, your can record your drawing. And in Screen To Gif editor you can edit all your records.You can add fade and slide transition effects. 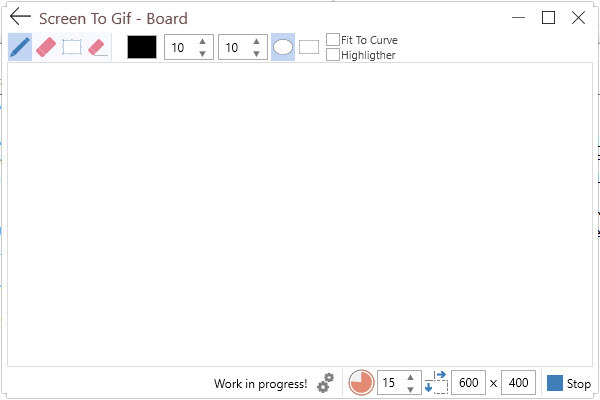 You can also do the Cut, Copy, delete and paste of the frames in this editor. You can also add the watermark, border, Text, Subtitles, Title Frames, system cursor and caption in your recording. Hi, MANIKANDAN. Nice App, thanks for the sharing. I used to record screen and export it as GIF with Acethinker Screen Recorder, It is an online tool that lets you record your screen right from the browser. Free and works fairly well for me. Share it here as an alternative to screen-to-gif.